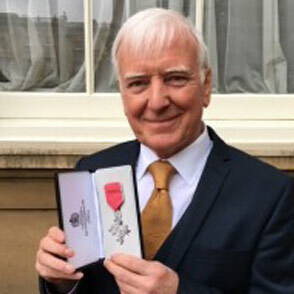 I’ve been an actor for over 50 years and I’ve done it all: from Shakespeare to rock musicals. Claims to fame? Well, for quite a while I was the voice telling you to ‘Mind the Gap, Please’ on the London Underground. I also presented PlaySchool and in my first film I acted a scene with Gregory Peck and Sophia Loren. Just the three of us! I was in the first two series of Byker Grove and in fact spoke the very first words of the very first episode. There is more information on my Wikipedia page. 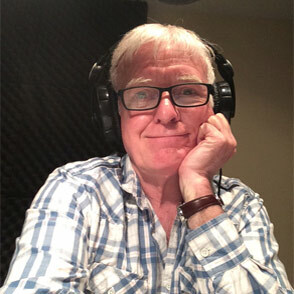 But on this website I’ll concentrate on my award-winning career recording audiobooks. I’ve recorded over 800 – from Homer to Chris Ryan, from Gogol to Hilary Mantel from Dickens to Catherine Cookson! In November 2017 the Queen presented me with an MBE and yes! we talked about audiobooks! I’ve recorded over 800 – from Homer to Chris Ryan, from Gogol to Hilary Mantel from Dickens to Catherine Cookson! 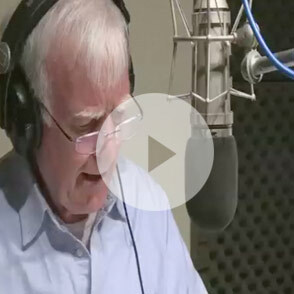 A face to the voice of so many stories, see my TV interview all about my Talking book career. I was completely enthralled. The reason I think for this was the absorbing and compelling character interpretation given by Gordon Griffin. I actually think the reading transcended the genre of the books, which I acknowledge are fairly populist. I'd go so far as to say that it changed them into real works of art! 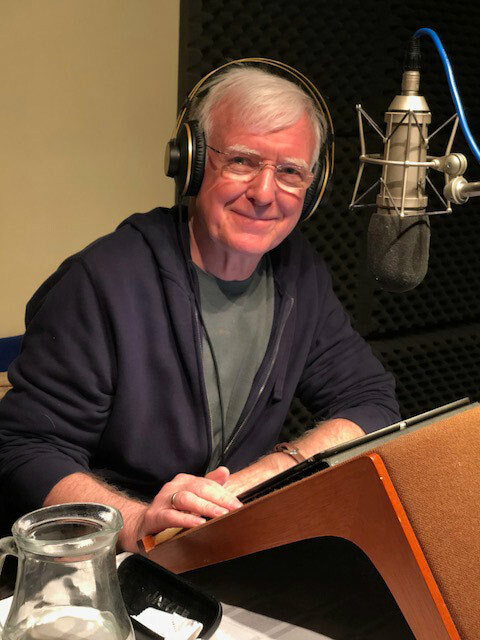 Recording audiobooks is a wonderful job for an actor. I get to play all the parts and I am also the director and casting director!!! And I love going around the country talking about recording books. 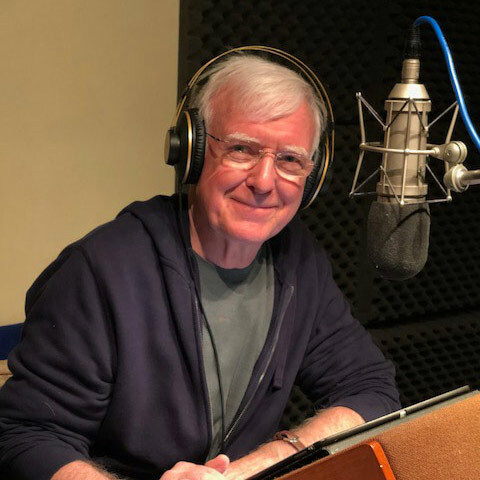 The talk (called Speaking Volumes) is fun (I hope) and anecdotal and it explains how an audiobook is prepared as well as how I got to be the person who recorded more books than anyone in Europe! 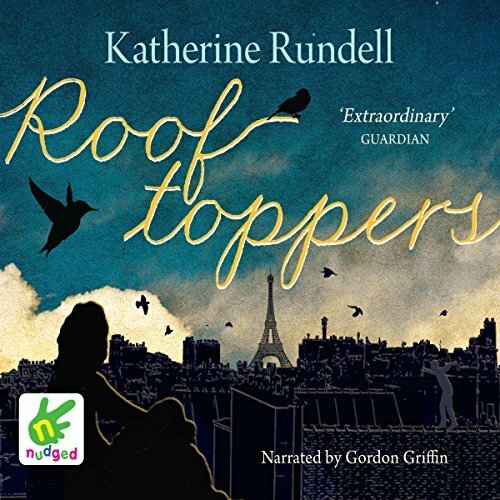 I also read extracts from books I have recorded. I’d be happy to come and give to the talk to your ‘after-dinner’ event, library or reader’s group. Please contact me if you’re interested. 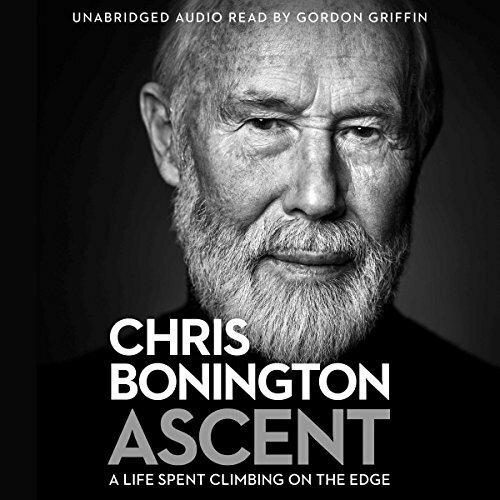 His memoir, Ascent, charts not only his many triumphs in the climbing world – such as the Eiger and the Himalayas – but also the struggles he has faced in his life bringing up a family and maintaining a successful and loving marriage over the decades of travelling the world to conquer mountains. 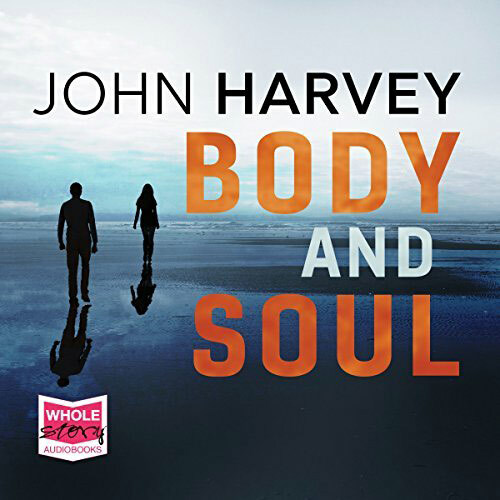 When his estranged daughter Katherine suddenly appears on his doorstep, Elder knows that something is badly wrong. The breakdown of her relationship with a controversial artist has sent her into a self-destructive tailspin which culminates in murder. Over 800 titles and counting!